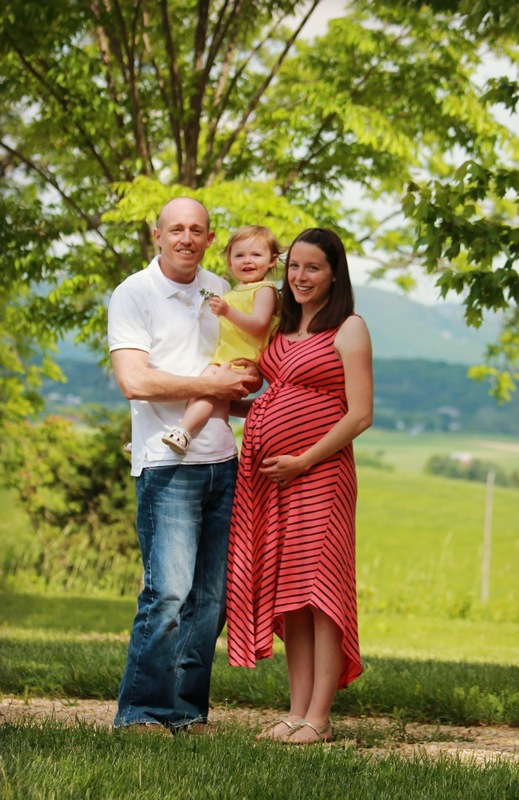 When we first found out that we were pregnant I knew right away that I wanted to breastfeed. No one else in our families had nursed their babies. I didn’t have anyone’s example to follow in that aspect but I was excited to try something new though I knew that some family members were skeptical. I was also nervous. I’d had many people tell me how low their milk supply was and how painful it was for them. I still really wanted to breastfeed so I prayed about it and asked God to give me a good supply and to give Emerie a good latch. I also prayed that I could deliver her vaginally (which no one else in our immediate families had done either!). I wanted a vaginal birth so that we could have skin to skin contact and begin nursing immediately. My prayers were answered! Emerie was laid on my chest just moments after she was born and she nursed very shortly after. She didn’t have any issues latching on and we began our nursing journey. It was hard in the beginning… every time she cried people assumed she was hungry and I seemed to nurse her around the clock. I wasn’t comfortable with nursing around others (besides my mom, sisters, and a few friends) so I spent a lot of time by myself with Emerie in another room when we had company or were out somewhere. I was very sore in the beginning and applied lanolin often and tried not to scream when she latched on. I jokingly referred to her as a barracuda! I dealt with the normal issues that nursing moms deal with, engorgement, soreness and chapped skin, and an occasional blocked milk duct. I worried about my supply and whether or not I was pumping enough. The lactation consultant reassured me that I was doing fine and Emerie had good weight gain each month. 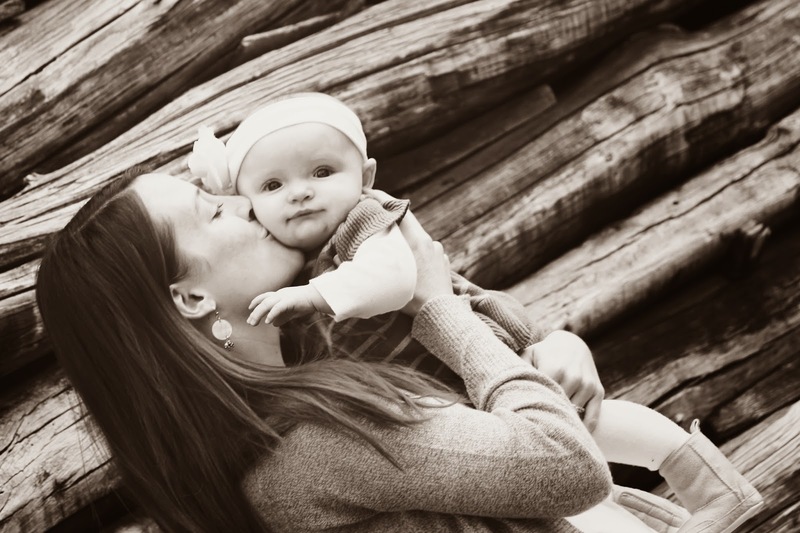 I was afraid to introduce a bottle or pacifier to her in the beginning because I didn’t want it to interfere with her latch but shortly after we gave her the paci we found out that all was still well in the nursing department. She didn’t take to a bottle very well at first, she screamed her pretty little head off and we had to try several different types before we found one that she liked. I was terrified she wouldn’t learn to drink from the bottle, but she did and I was able to go back to work without worrying about whether or not she would eat while I was gone! We got into a good rhythm when I went back to work, I fed her on one side in the mornings and pumped the other, then I pumped twice a day at work for the entire school year. I froze a lot of milk and was fortunate to have a good milk supply. We never had to supplement with formula and we waited until she was 12 months to introduce whole milk. Emerie continued to nurse until she was 18 months… she weaned about a month after I found out that we were expecting blessing number 2! The weaning process was much easier than I expected it to be. I was sad when it was over but felt very blessed that I was able to nurse for so long. Love this post! I, too, nursed my baby girl for 12 months and had no issues with breastfeeding at all! No latching issues, no soreness, no engorgement and no issues with bottle or paci. So often I hear stories about how hard breastfeeding is (which I know there are a lot of mamas that have issues and have to overcome ALOT), but it's nice to hear when it just works!! And trust me, I am very grateful our journey was so easy…I don't think I would have made it a year if it wasn't! Love reading all the breastfeeding stories! Really hoping to breast feed my lil guy due next month! My name is Christina and I’m a stay-at-home mom to a beautiful little girl. 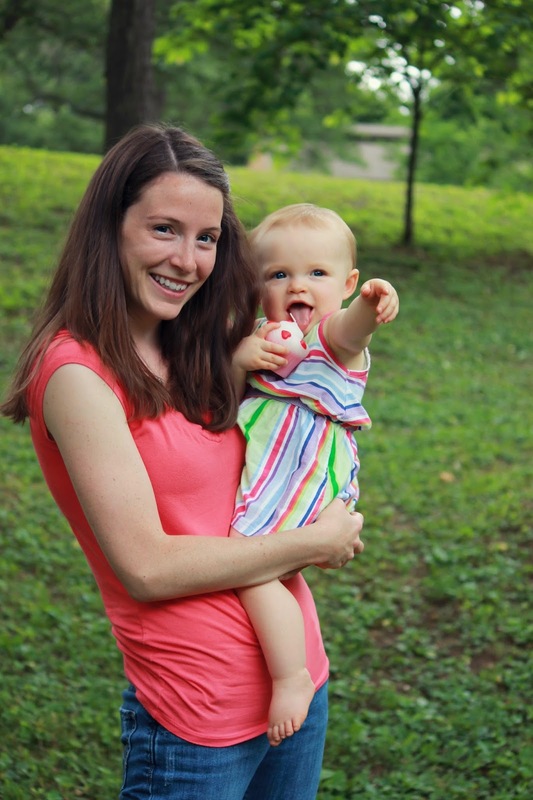 I’m also the blogger behind This Woman Cooks!, where you can find recipes, tidbits about being a stay-at-home mom, and lots of pictures of my daughter. 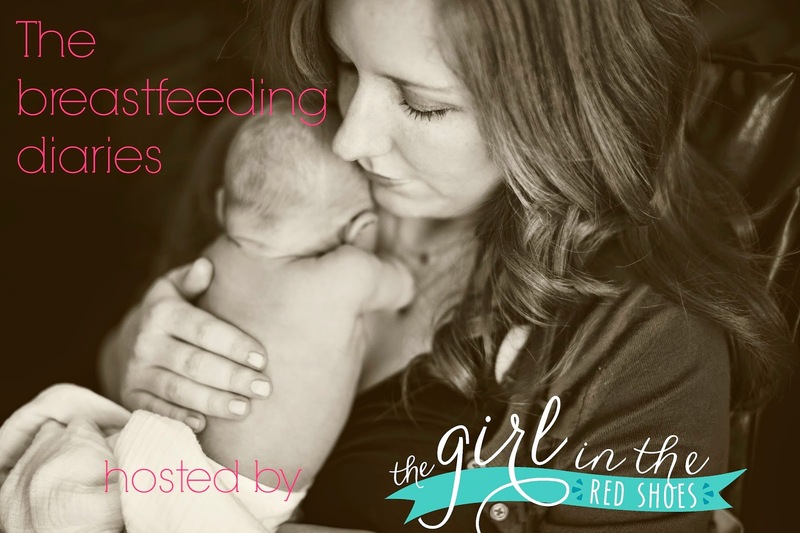 I knew I wanted to breastfeed from the moment I found out I was pregnant. I didn’t know very much about breastfeeding, except for all the reasons to breastfeed: breastmilk is easily digested, protection against allergies and sickness, a decreased risk of certain cancers for myself, as well as an easy way to lose all that baby weight. Sounds like a win win for both of us! I wanted to learn more about breastfeeding so I prepared myself in every way possible, with the exception of actually breastfeeding. 😉 I read books, attended a class, and dropped in on a breastfeeding group to listen and ask questions. I had irrational fears about breastfeeding; I was worried that I wasn’t going to make enough milk (like my mom, who only breastfed me for six weeks), that it wouldn’t come naturally to me, or that I’d have to supplement. Luckily, I had a pretty easy delivery. After 45 minutes of pushing, I got to hold my daughter for the first time. 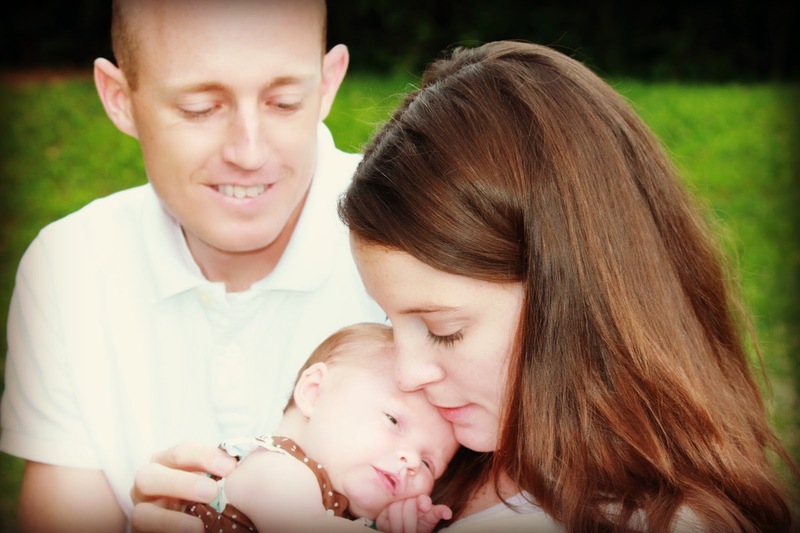 I held her to my chest as my husband and I gazed into her eyes. 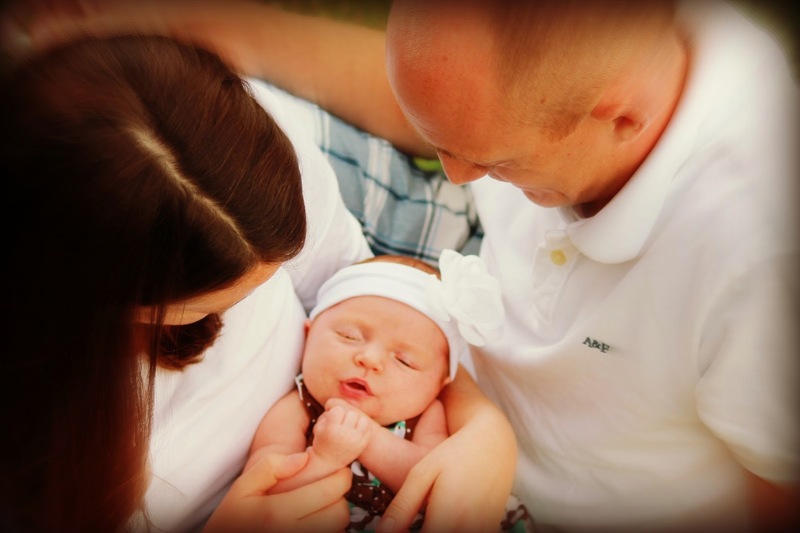 That’s right, her milky gray eyes were open right away; she was ready to see the world and ready to meet her parents. We tried breastfeeding after a while with my labor nurse. She wasn’t very helpful, a bit impatient, and I tried not to get frustrated when Adeline didn’t get any milk. The nurse said not to worry and that we’d try again later. I had a different nurse in the evening who was absolutely amazing. She called in a lactation consultant to show me how to hold Adeline and latch her to my breast. Success, Adeline got her first taste of breastmilk! However, she didn’t eat very much. We had a long way to go; breastfeeding takes time, and above all, practice. I was advised to offer her my breast throughout the night to encourage her to eat more. Our nurse came to check on us often and I was so happy to have her support. The next day we were discharged and I was slightly nervous and terrified that I was going to forget everything that I had learned. The first six weeks of life as a mom are a blur. Adeline slept most of the day and ate every two hours at night. I wasn’t enjoying breastfeeding. Adeline nursed so frequently at night that I was severely sleep deprived. I was determined to establish breastfeeding before trying to pump and give her a bottle. I was also constantly worried that she wasn’t getting enough milk and would get furious with my husband whenever he’d say she was hungry. It felt like all I was doing was feeding her. Those pregnancy hormones are no joke and combined with sleep deprivation, I was a wreck. After a few weeks, it seemed like every time I tried to latch Adeline, she’d cry these high-pitched shrieks. I knew something wasn’t right. Was she not getting enough milk? Was there something wrong with my milk? Was it something I was eating? I started to notice her dirty diapers were an odd green color, which is a sign of getting too much foremilk. I did some research and found out that she wasn’t getting the fattier, more filling hindmilk. I had no idea there was even a a difference! I called a lactation hotline for help and was told that I probably had a really strong let down. I was told to offer Adeline only one breast for every two feedings and then switch to the other. After about a week, feedings were going much smoother and Adeline seemed happier. We fell into a routine soon after that and life started to get easier. Breastfeeding was a breeze; finally, it became so natural to me. I started pumping twice a day so that my husband could feed her in the middle of the night and I could get more sleep. He was so supportive and understanding, helping me in any way that he could. I couldn’t have survived without him. When he went back to work (he was in medical school at the time and had a month off, thank goodness), I only pumped if I was going out with Adeline and left him with a bottle. Otherwise, it was all me. I liked it this way because I hated pumping- the washing bottles and all the parts after every use was not for me. I’m so happy I made it to my goal- one year. Adeline was weaned two weeks after her first birthday. If I can give you any piece of advice, it’s that breastfeeding takes time. Everything gets easier once you fall into a rhythm and you know when and how to feed your baby. Everyone is different and what may work for others may not work for you. Try out different positions, different settings, and above all else, find someone to talk to about breastfeeding. I was lucky to have my husband, a great pediatrician, a 24 hour lactation hot line, and family members who were very supportive. Thank you for having me Julie! I hope you’ve enjoyed reading my story. Thank you for sharing your story! I love this series! 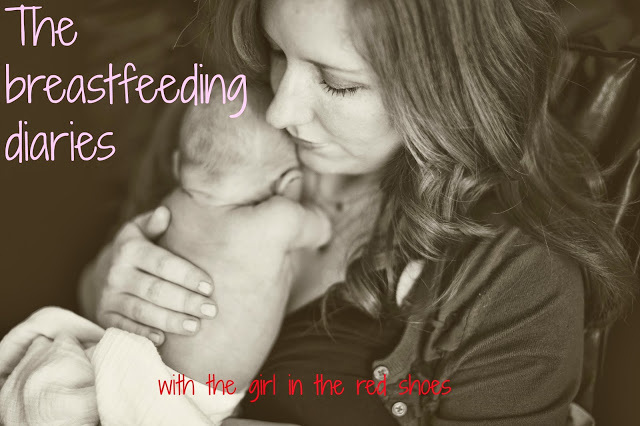 I had a really hard time breastfeeding my daughter and had to switch to formula a lot earlier than I would have liked. I love reading these stories as they give me tips, advice and hope that I will be able to successfully breastfeed baby number 2 one day. Congrats on a full year of mommy milk! Wow the first picture is incredibly beautiful! Breastfeeding is a boon for a child in his early days of life. A baby needs special care and attention in early days of his life days because these starting days will decide the level of health which he is going to posses his whole life.